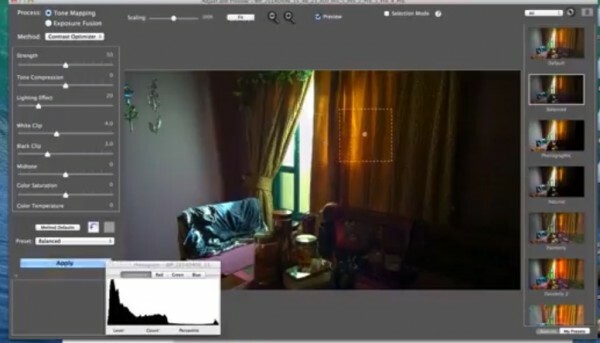 In the video below, we see how to use the exposure bracketing (like a DSLR) to take 3-5 shots of different exposures which you combine later to produce a HDR shot. This is later put together on a computer. This can be done on Photoshop or automatic HDR apps that take bracketed photos.